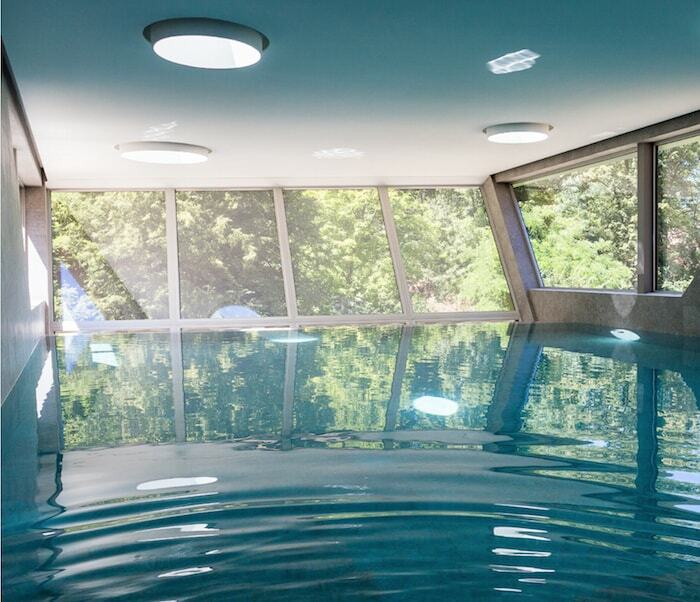 A swimming pool in your house? Who has never dreamt of having an indoor pool to dive in far from the tiring and stressful daily life, away from prying eyes? For a privileged few, this dream can easily come true: a dream that nowadays is much easier to fulfil than in the past thanks to the new construction technologies. Along with the beauty conveyed by a body of water inside your home, an indoor pool is also a true private gym that is accessible all year long. Indoor pools can have many different shapes and sizes, depending on the customers’ needs: if you wish to use the pool to exercise, swim and keep fit, it’s necessary to plan a pool that allows swimming activity. Whereas if you prefer a body of water to dive in and relax, featuring perhaps areas with massaging water jets and chaise-longues, the pool can be smaller. inground pools, that are definitely more elegant and can also be quite large. 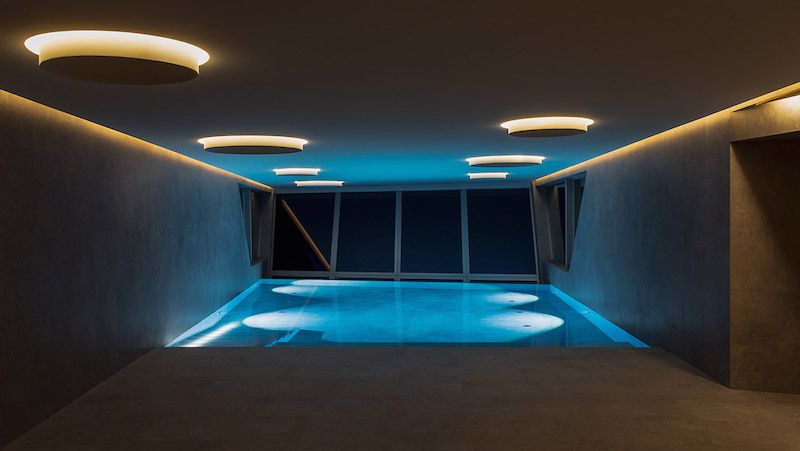 Another extremely important element that characterises the pool, also indoors, is lighting. Spotlights and LED lights, by following the shape of the pool and intelligently lighting up the steps, will make your indoor pool welcoming and accessible even after nightfall. 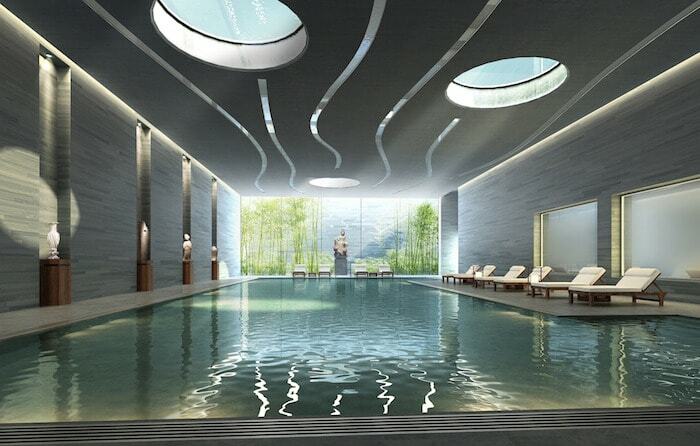 An indoor pool, just like every element in a refined house, stands out for its shape but also for its claddings. The material chosen for the indoor pool cladding will characterise the entire room in which the pool is installed. natural stone cladding: natural stone claddings are widely used too lately, but it’s important to choose the stone that best resists to chlorine. The final effect is definitely very striking and elegant. An example of indoor pool with a view. Water (zoom) in beautiful swimming pool. A detail that you mustn’t underestimate when choosing to install a swimming pool in your home is the colour effect you wish to get from your stretch of water. 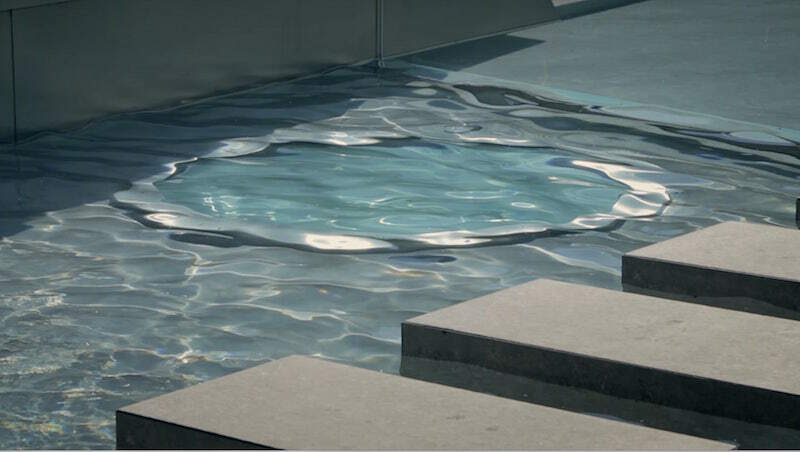 Depending on the effect you want to get, the material you choose to clad the pool with will have a specific colour. For example, if you want the typical swimming-pool light blue, the cladding will be light blue. Whereas if you wish to lend more of a green shade to the pool, it’s preferable that you choose a light-coloured cladding, from white to sand. Or in order to get a mirror effect, you should choose a dark-coloured cladding. Indoor pools, as mentioned at the beginning of the article, can have different shapes depending on the homeowners’ taste and needs; those who love a clean, linear and minimalist style will choose a geometric, rectangular pool, that favours motion. Whereas for those who prefer organic shapes and a pool to dive in and relax, sinuous shapes are more suitable, with waterfalls, seats and an area with massaging water jets: all of this to emphasise the longing for relaxation. Which is the best place in which to plan an indoor pool? In this case too the possibilities are numerous, and they depend, as usual, on the space available inside the house and on the customer’s wishes. While originally indoor pools were usually installed on the ground floor or in the basement, in the last few years people are more and more frequently discovering the beauty of these stretches of water when placed on the upper floors. 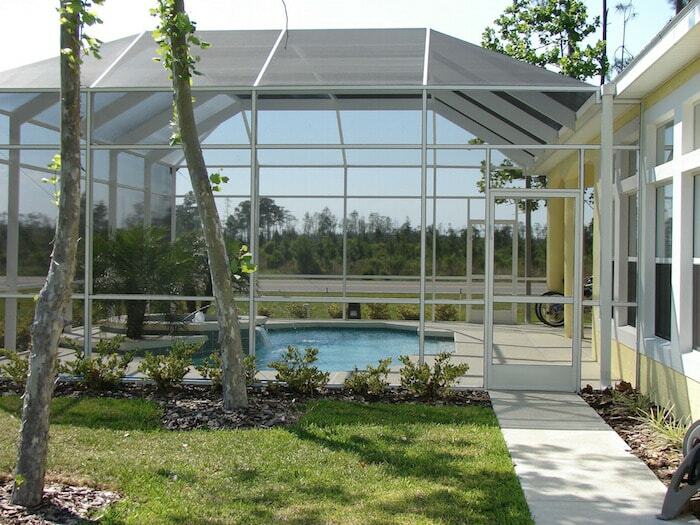 By doing so, you can enjoy the surrounding landscape even from your indoor pool. Other possible locations for indoor pools that are catching on lately are the veranda or the portico, which obviously must be covered. This way you will obtain a very versatile area: closed during the winter (but with the lighting guaranteed by the glass walls) and completely open in the summer, just like an outdoor pool. As far as maintenance is concerned, indoor pools, in a way, require less care than outdoor pools: since they aren’t subject to rain, bad weather and dirt coming from leaves or elsewhere, indoor pools only need a periodic check of chlorine levels in the water. An important aspect that mustn’t be neglected, as far as indoor pools are concerned, is a proper aeration of the rooms. Since indoor pools greatly increase the humidity level in the air, the most suitable solution in order to avoid high levels of humidity in the room is to plan a continuous air recirculation, as well as a dehumidification system. Outdoor pools, perhaps surrounded by greenery and with a view of the landscape, have their charm too. 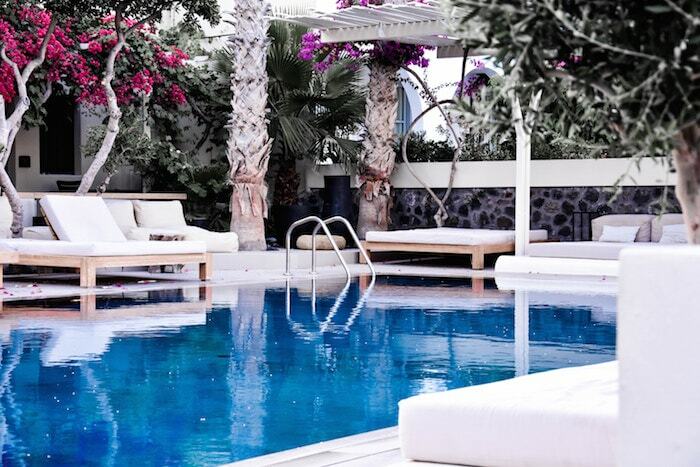 Private outdoor pools can only be used in spring and summer and yet they are still very common at luxury residences. Their beauty and the stunning effect they have within a luxury property make them an essential element. Just like indoor pools, outdoor pools too can have countless shapes and colours depending on the homeowners’ taste and needs. Therefore, an indoor pool is definitely an element that lends prestige to the house and increases its property value. The pool area, especially when it has got a view of the surrounding landscape, becomes one of the most beautiful rooms of the house, almost some sort of private spa in your own home. Apparent disadvantages such as excessive consumption of electricity (up to 6 kw) are quite relative. In fact, it must be considered that the electricity cost is only slightly higher than the ordinary one, and some companies activate discounted rates within 1-2 weeks of the request. Does it take a long time to maintain it? Thanks to technological innovations, today the cleaning of the filters is enough to do it every 3-4 weeks. With a new introduced valve it is possible to carry out this operation automatically. A swimming pool is “conviviality”: it offers the opportunity to invite friends and have fun, or relax with the family. If you want this “benefit”, the pool at home is perfect for you. 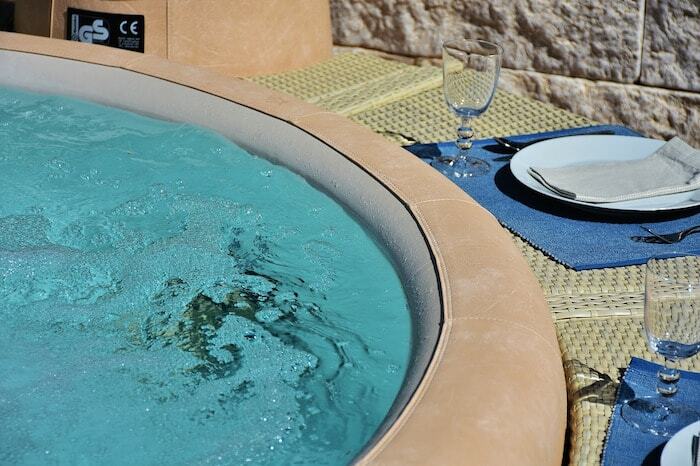 A magnificent SPA area close to swimming pool: the best of “conviviality”. -> Are you looking for houses with swimming pools for sale in Switzerland?